Is The Crystal Maze The Perfect TV Show For Team Building? For most people Crystal Maze is a much loved TV show from the 80’s but for us it is the perfect opportunity to enjoy a fun and interactive Team Building event. Our brand new event launch offers guests with the opportunity to take part in their groups very own Crystal Maze Challenge. If you’re less familiar with the Crystal Maze set up the aim of the game is to gain as many crystals as possible to give you much needed time in the Dome finale. 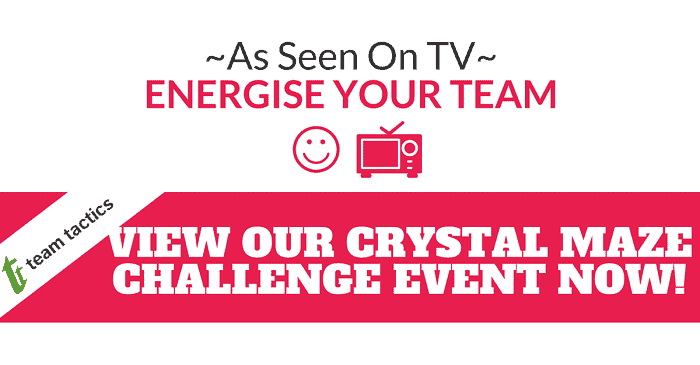 Teams can win the all important crystals in a number of interactive tasks throughout the four zones to be awarded with an extra 5 seconds in the dome. Once in the iconic ‘Dome’ teams must collect as many golden tickets as possible in the designated time awarded to the team. Collecting any silver tokens will be costly as these act as a deduction from your score! The team with the most golden tickets will be crowned the winners. The different zones will bring back memories of the TV show and will include the Aztec, Medieval, Industrial and Futuristic zones. Teams will be tested in a fun and thrilling range of mental, skill, physical and mystery challenges that if successful will have the best chance of collecting the most golden tickets! 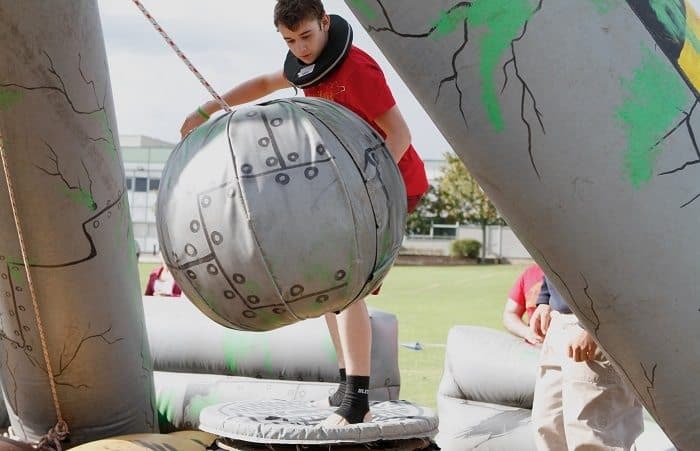 The Crystal Maze challenge is the perfect outdoor event to enjoy in the summer months alongside a BBQ or simply as a conference energiser to provide a refreshing break from a conference day. The varying selection of activities in each zone enables teams to utilise and develop individuals weaknesses and strengths as participants discover they will need to combine all their abilities as one to succeed. At Team Tactics we enjoy focusing on bringing out the best in a team and to ensure the effectiveness of all our team building events. 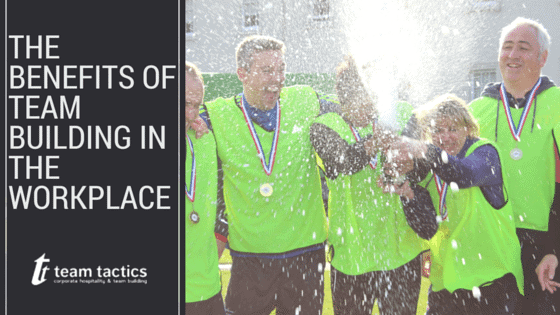 The Crystal Maze Challenge enables the reinforcement of self development, positive communication, leadership skills and the ability to work closely together as a team to problem solve. ‘As seen on TV’ team building provides a great opportunity for groups to relate to the day or activity a great deal and relish at the chance to try it out for themselves! 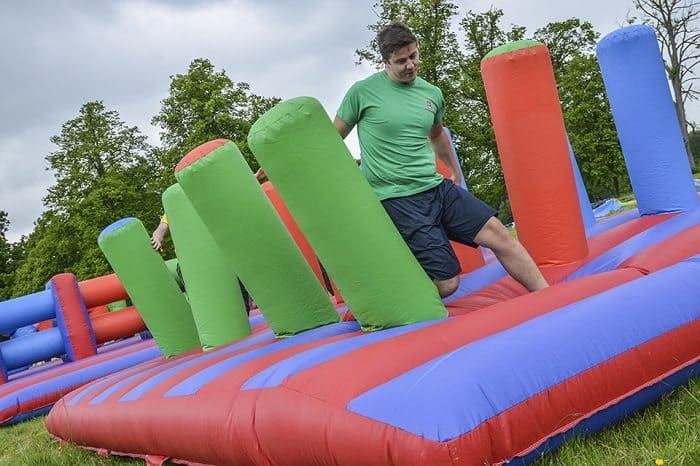 Our Robot Wars, Mystery Box Corporate Cooking challenge, It’s A Knockout and Bear Grylls events are our most popular team building events that have once been seen in popular TV shows!